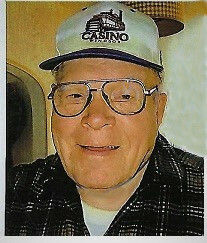 Stanley “Stosh” Szczegielniak, age 90. Beloved companion of Marge Friedl; loving father of Andria Chimenti, Diane Szczegielniak and stepfather of Geraldine Kitson (deceased) and Rose Peabody; dear grandfather of Michael and T-Jay Towner (Gisela), Kris Kitson, Pam and Tony Angelo, Tammy and Danny Peabody, Seth Bird and great grandfather of Nettle Bowman, Lyda and Brandy Mae Towner, Krista Kitson, Nadine Keim and great great grandfather; beloved brother and uncle. Member of Polish Army Veterans. Funeral services Saturday Feb. 10, 2018 at 10:30 a.m. at GOLUBSKI FUNERAL HOME CORNER OF E.65 AND FULLERTON AVE., and 11:00 a.m. at Immaculate Heart of Mary Church. Interment St. Mary’s Cemetery. Friends received FRIDAY 2-4 AND 6-8 P.M.